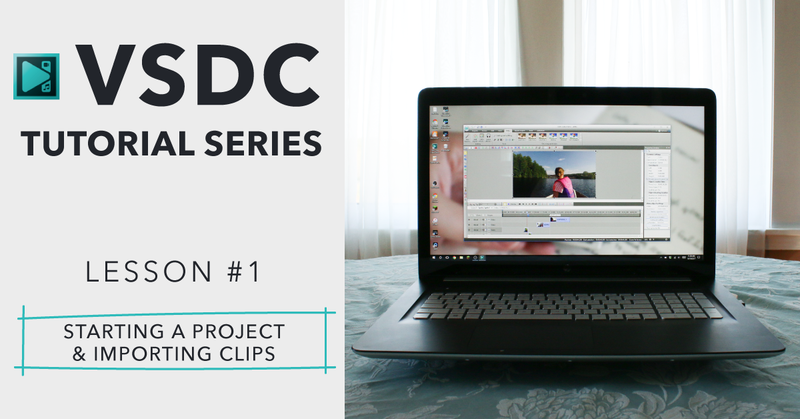 VSDC is one of the best free video editor options for Windows users. Free video editing software is hard to find, but VSDC fits the bill for most users who are looking to edit GoPro videos, YouTube videos, family movies, you name it! On this page you’ll find all of my VSDC Free Video Editor Tutorial Series, and I’d recommend you start with the very first tutorial on getting started with VSDC, then move on from there. 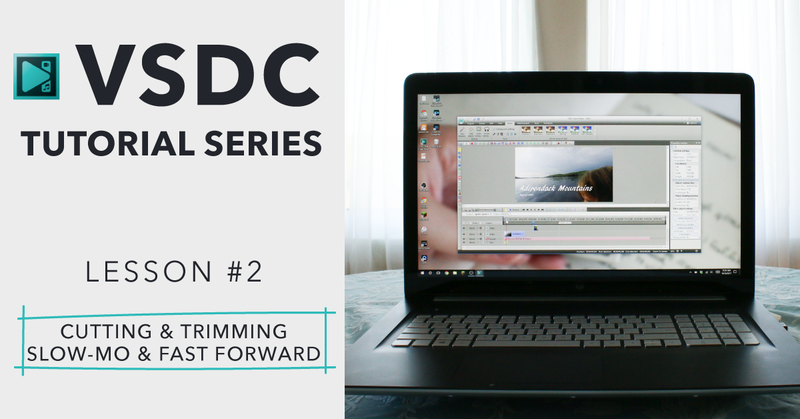 In this post, you’ll find my third and final VSDC Tutorial in my getting started series! If you missed the first two, you don’t want to skip ahead! You can scoot back to Tutorial 1 or Tutorial 2 to catch up. Be sure to do that before continuing on here with today’s tutorial, otherwise, you’ll be a little bit lost. The video lesson for how to add music, titles, and export videos in VSDC is below, or you can click here to catch it directly on YouTube! This is an important lesson because once you’ve made your edits within VSDC, you have to actually export your project in order to be able to upload it to Facebook or YouTube, where you can then share it with your friends and family. Don’t just leave you project handing! Finish it up, and get it out there and share it! 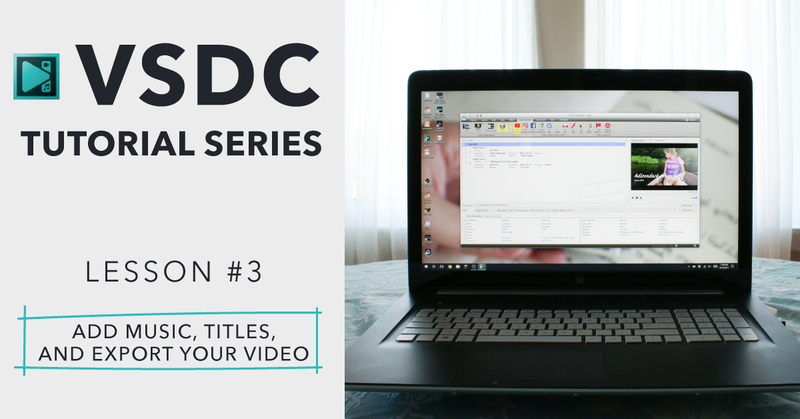 This week, I’m continuing my VSDC Tutorial series with the second lesson. 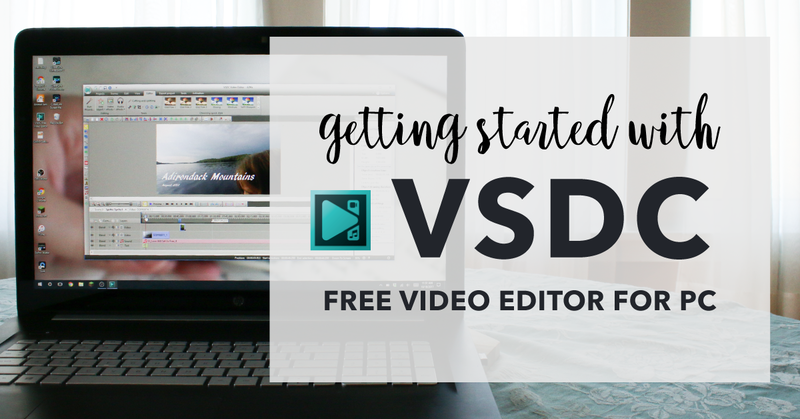 In the very first tutorial on using VSDC’s free video editor, I showed you how to get started with a new project and how to import clips. If you missed that first VSDC tutorial, click here to scoot back there to catch it. This post and the others in this series is sponsored by VSDC. They asked me to help get the word out about their free video editing software, and I’m always game for bringing my audience new ideas for creating awesome GoPro videos and family movies, so of course, I said yes! If there is one question I hear all the time, it’s “what free video editing software can I use to edit my videos?” There are a handful of free video editor options out there for Mac and PC users, but one of them was recently retired by GoPro, and in its place, GoPro recommends PC users use VSDC. VSDC is a free video editing software and it’s full-featured… meaning there is no trial period, no watermarks, and no usage limits on the free version. In fact, VSDC came to me and asked if there was any way we could partner together to get the word out about their free video editor, knowing that video editing is a hot topic (especially among my audience of video and GoPro enthusiasts). So in this first installment in this three-part series, let’s dive into getting started with editing your GoPro videos, mobile phone videos, or any kind of video, with VSDC.